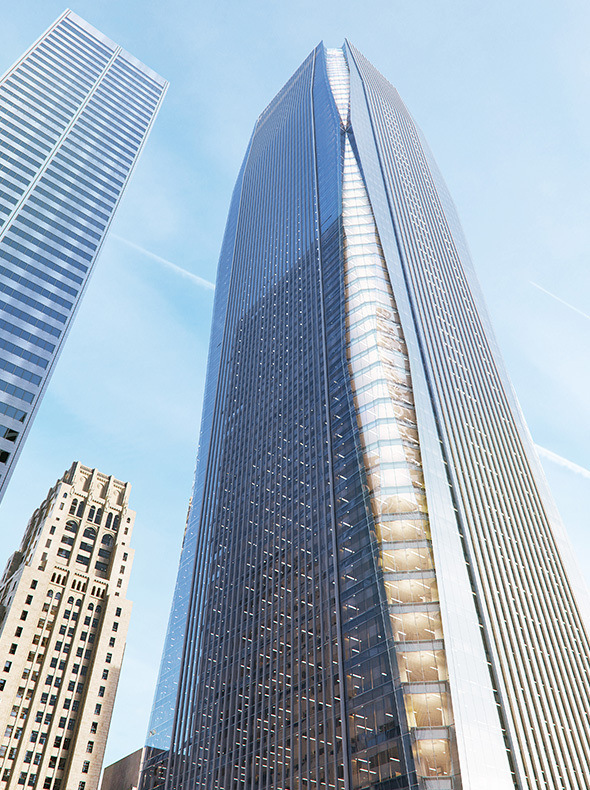 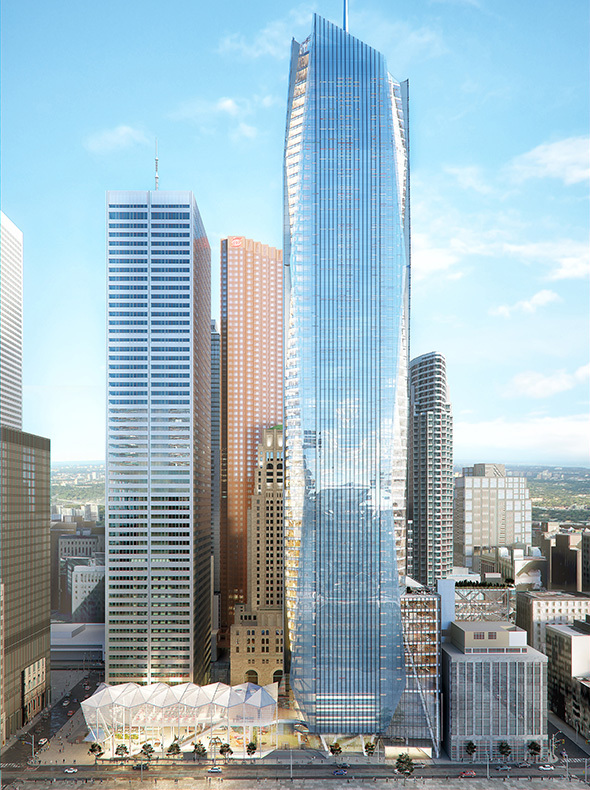 A new 64-storey mixed-use office building is proposed for the southeast corner of the Commerce Court block at King and Bay Streets in the heart of Toronto’s Financial District. 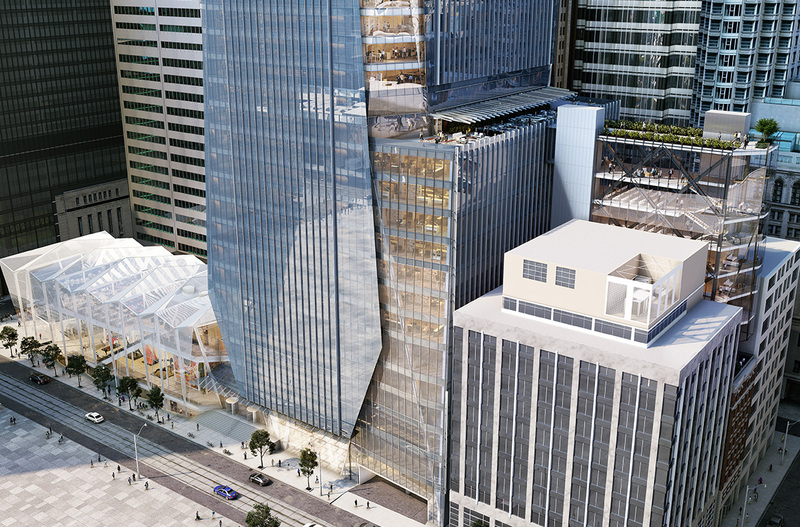 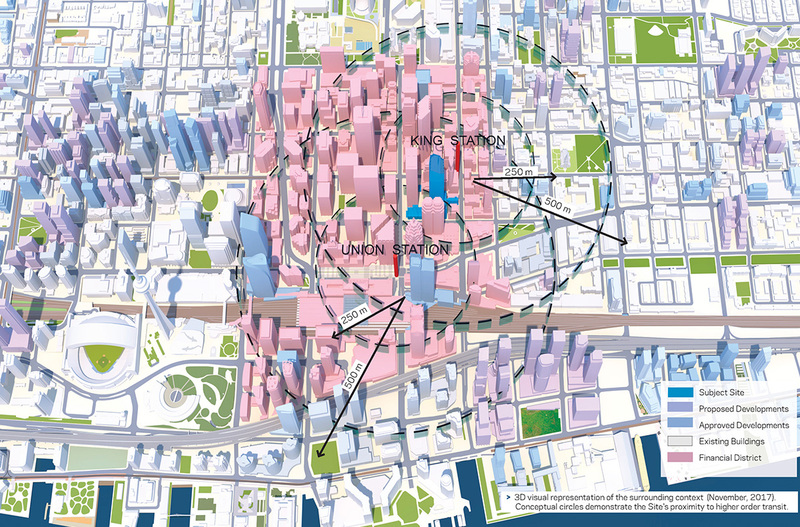 This new East Tower will increase the district’s Class A office area, with full integration into the pedestrian connections of the City’s underground PATH and rapid transit networks. 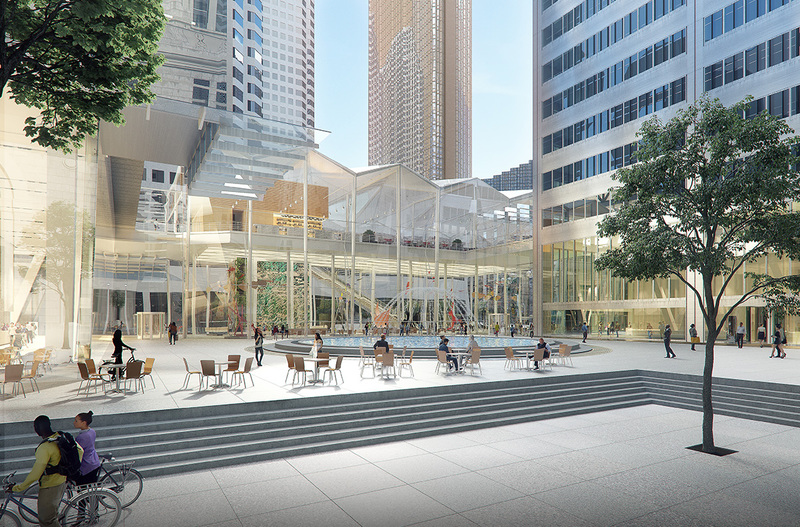 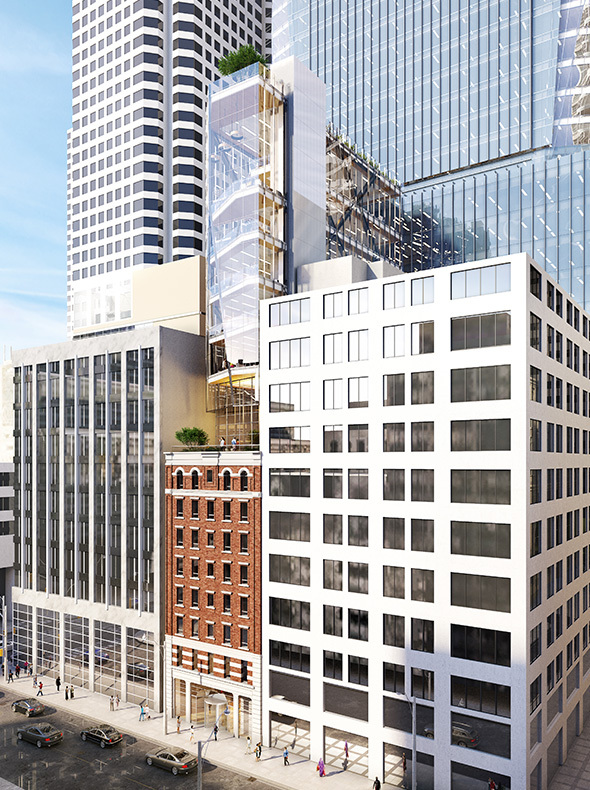 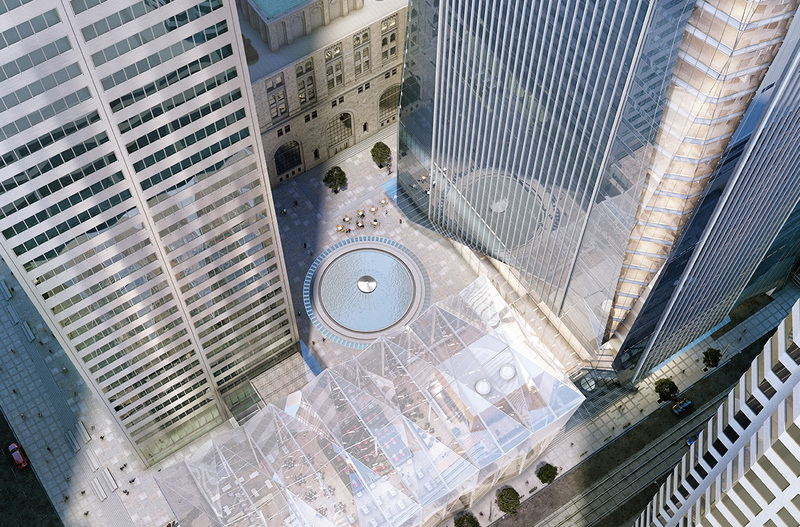 A key component of the Commerce Court redevelopment plan is a new atrium building called The Pavilion, poised to become a landmark gathering place in the heart of the Financial District. 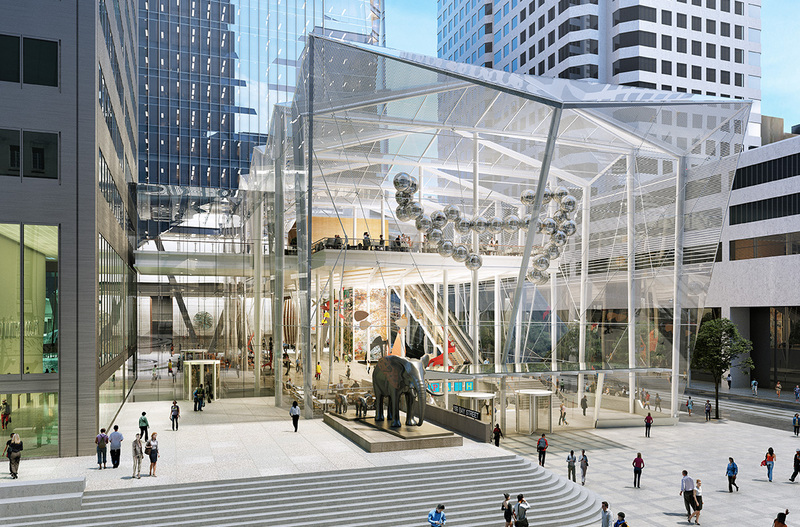 The Pavilion, that will replace the actual existing building to the south, will rise four stories and be enclosed with transparent glazing that allows natural light into the concourse level underground. 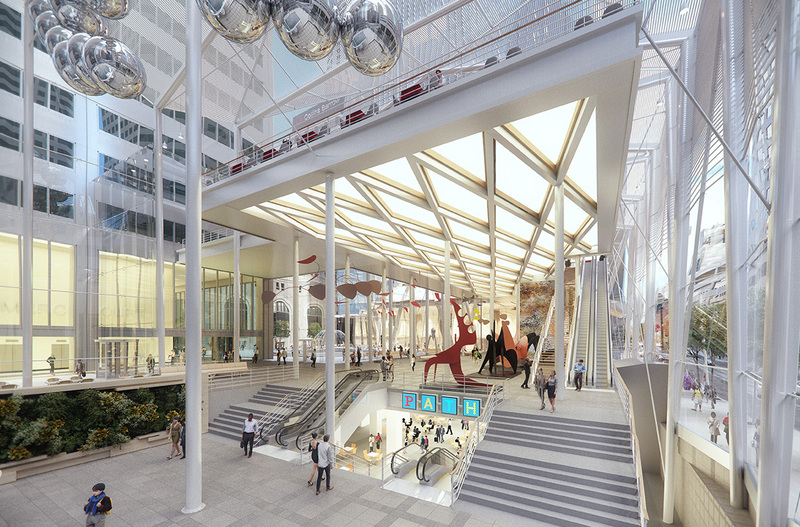 Envisioned as a culinary and cultural hub, the Pavilion will feature rotating arts installations and venues for cuisine. 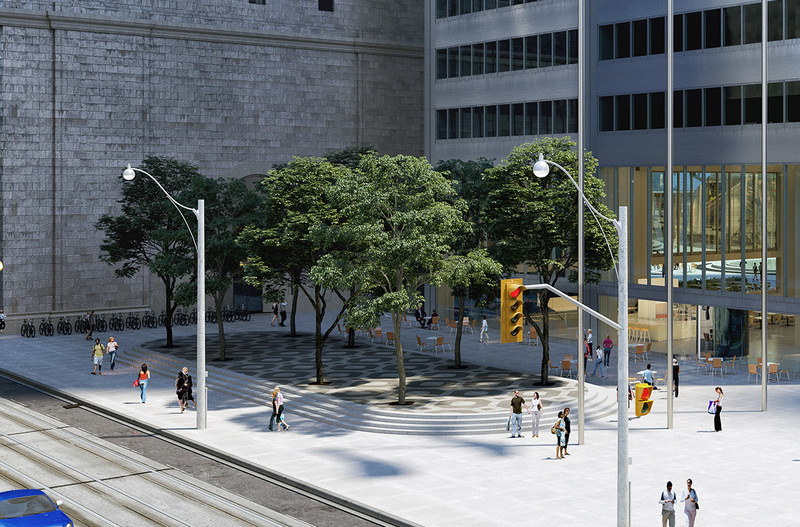 The proposal includes extensive improvements to the public realm including a re-imagined Wellington Street frontage, a perched bosque of trees at the corner of King and Bay Streets, enhancements to the existing steps along Bay Street, and the resurfacing of Jordan and Melinda Streets to improve the streetscape environment and facilitate pedestrian access. 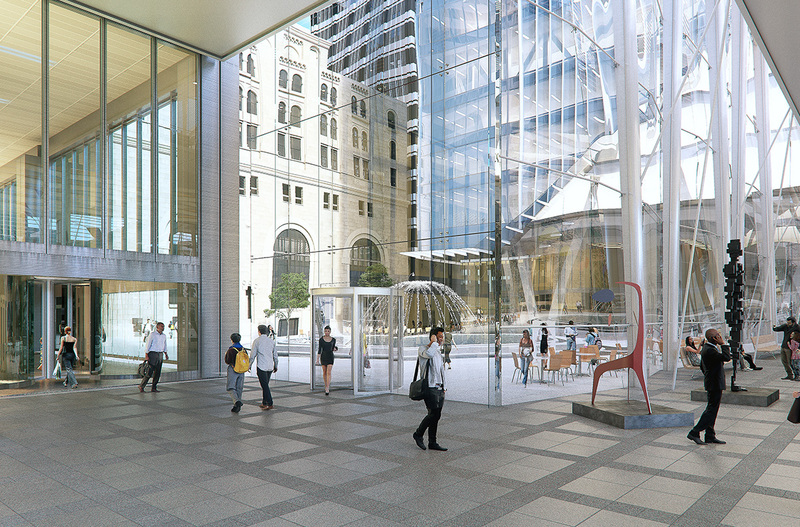 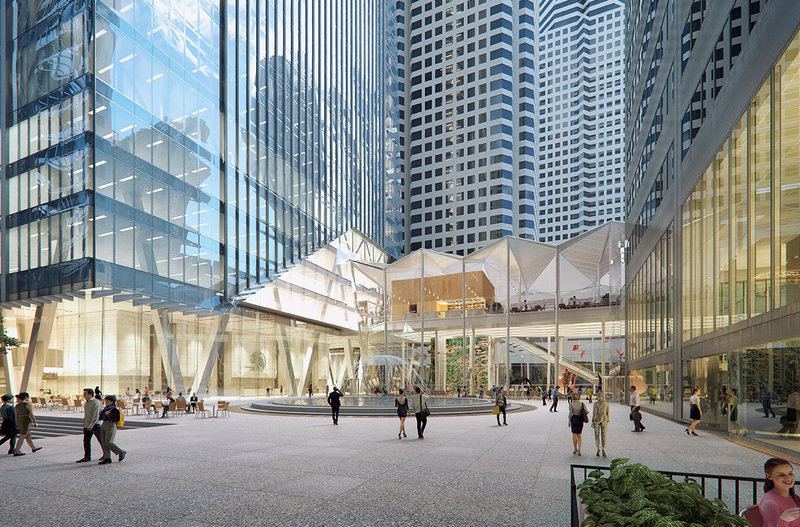 The proposal will restore the key heritage assets of Commerce Court, including the 34-storey North Tower. 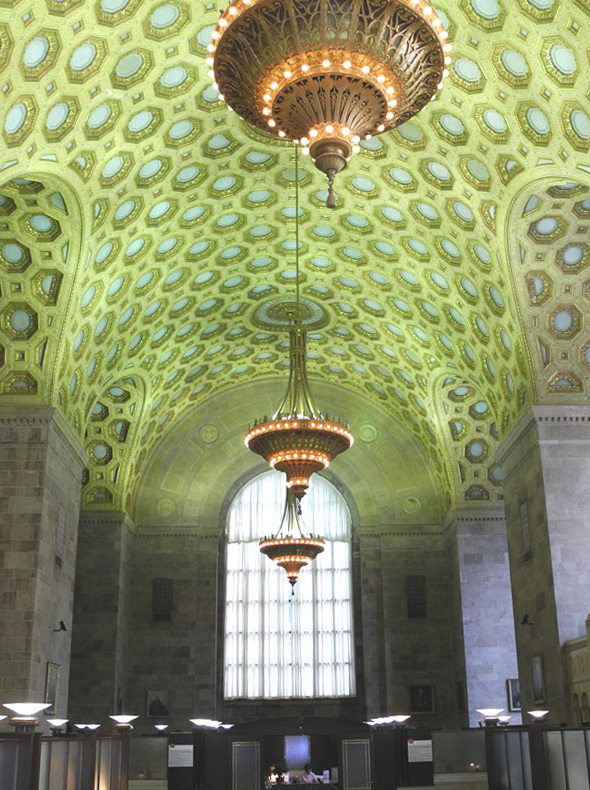 Renowned for its classic Art-Deco style and stunning vaulted gold-coffered ceiling, the North Tower remains a treasured heritage building in Toronto’s Financial District. 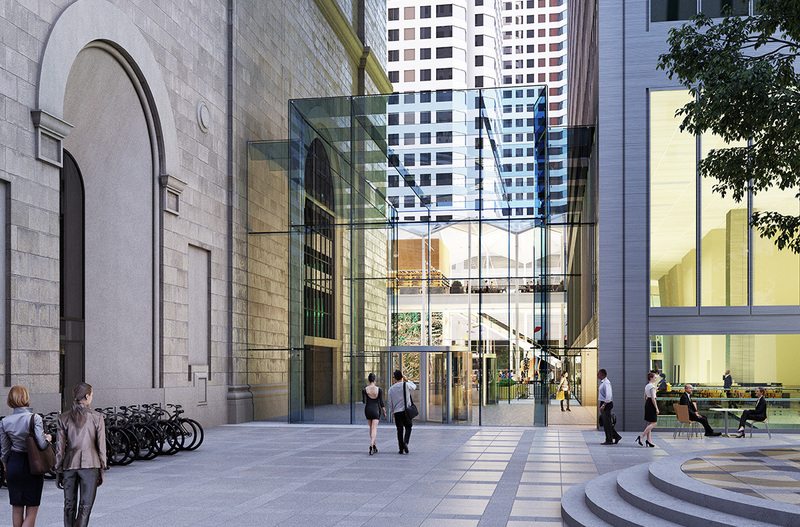 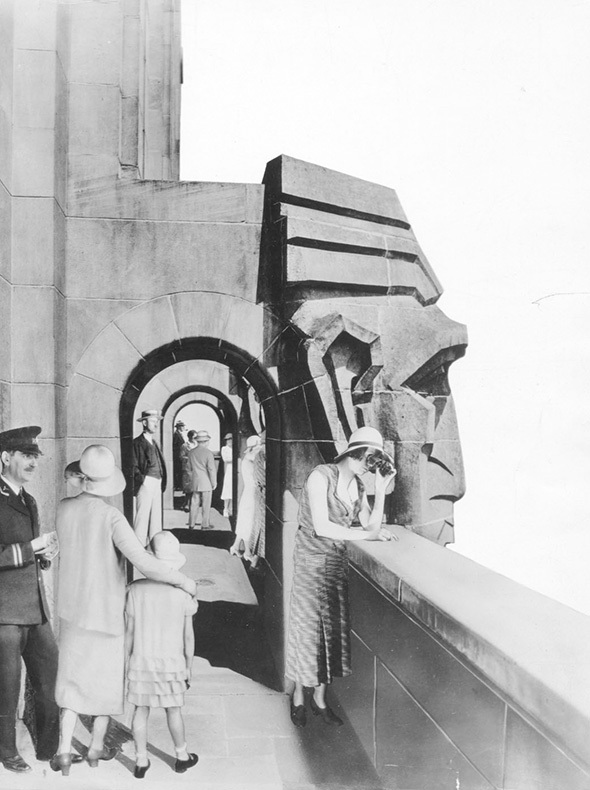 The adaptive reuse of this architectural gem is part of the long-term vision for the project. 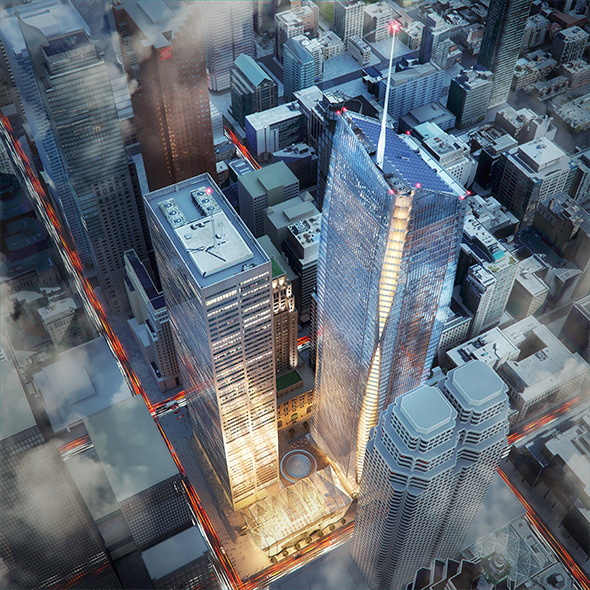 The prestige of I.M. 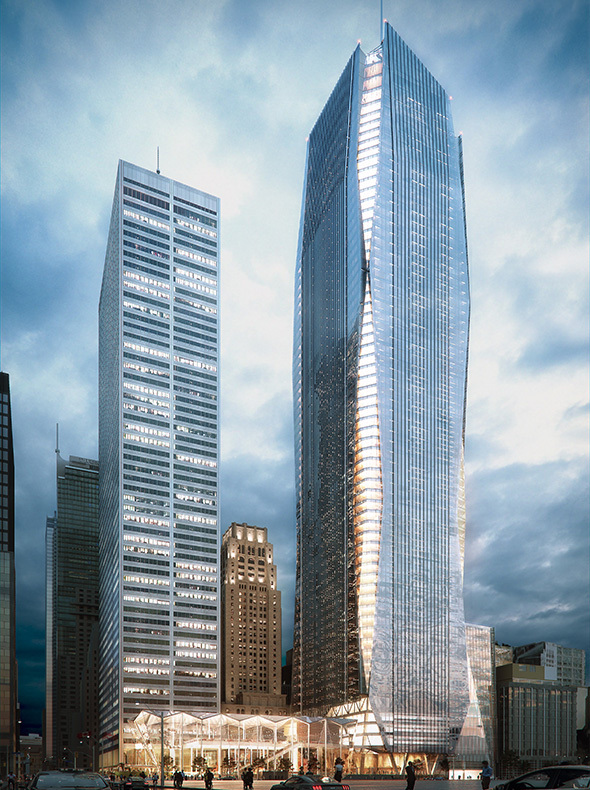 Pei’s 57-storey West Tower will be maintained as an iconic skyscraper in the District. 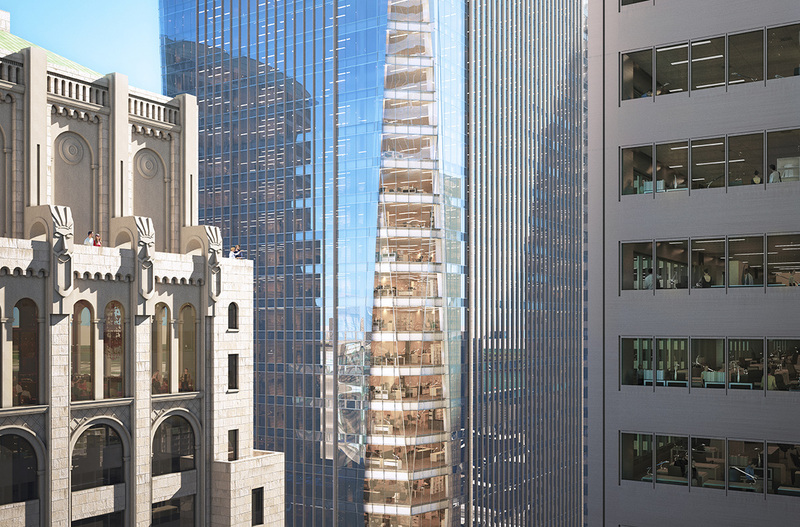 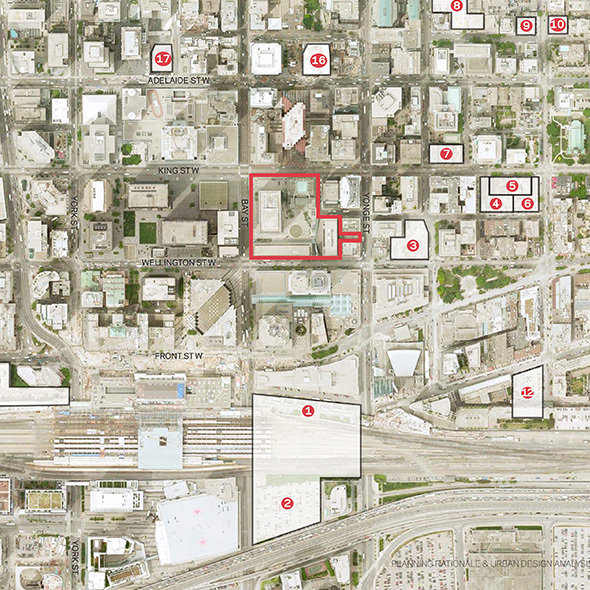 The West Tower is fundamental to the identity and continued success of the property. 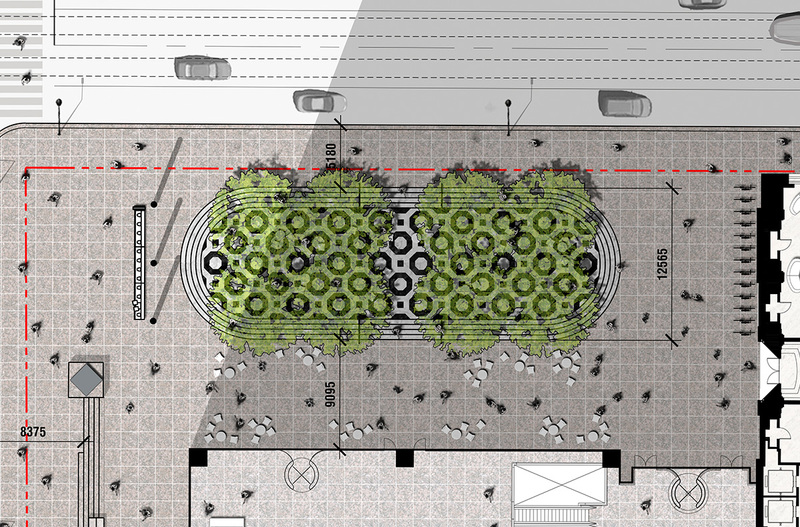 The pinwheel arrangement from I.M. 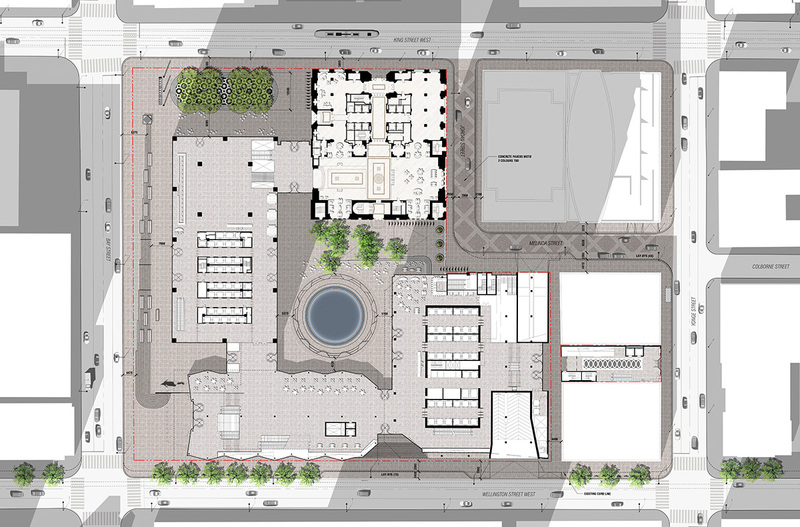 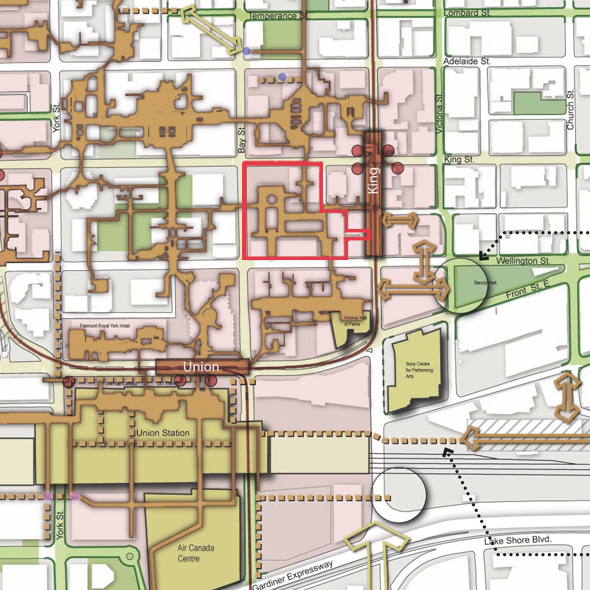 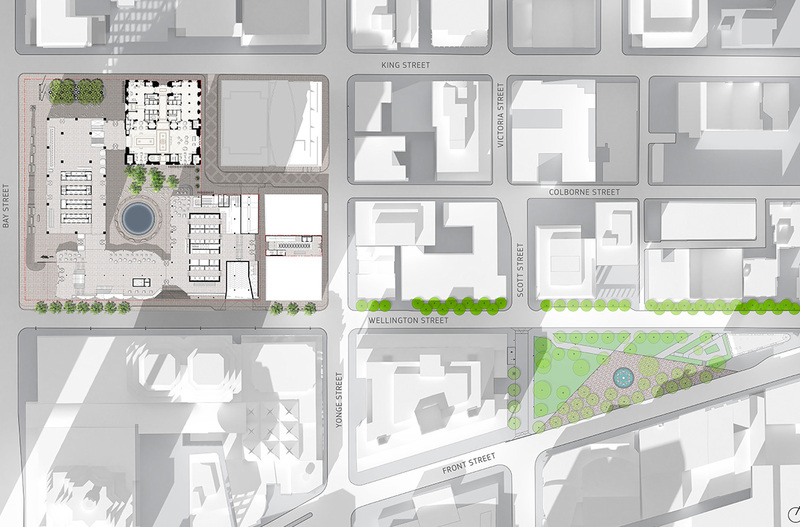 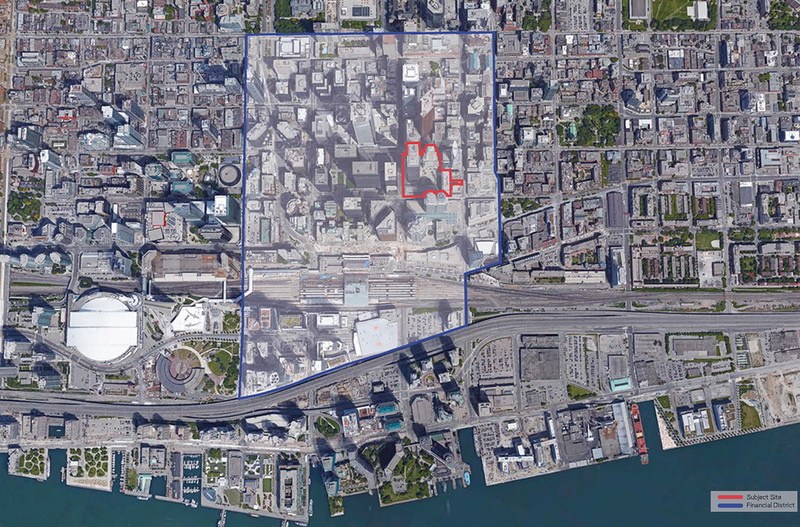 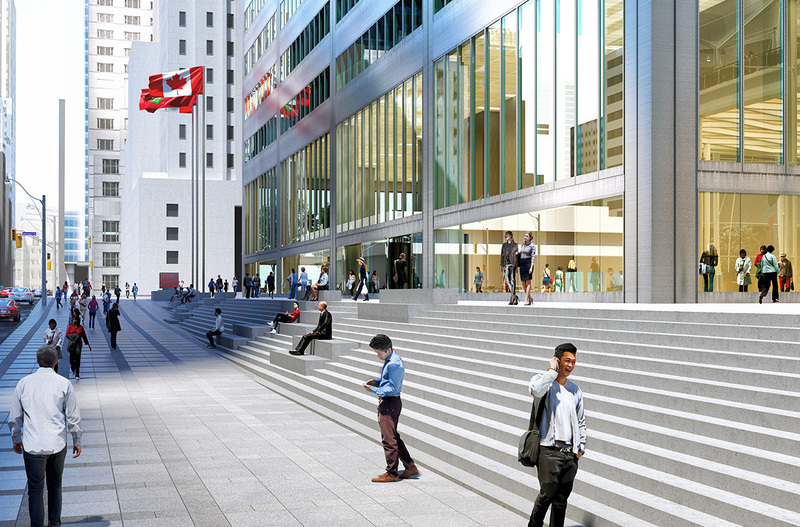 Pei’s original plan is maintained as the guiding principle in the layout of the new buildings, keeping view corridors clear to the vintage North Tower, and defining the prominent urban courtyard at the centre of the block. 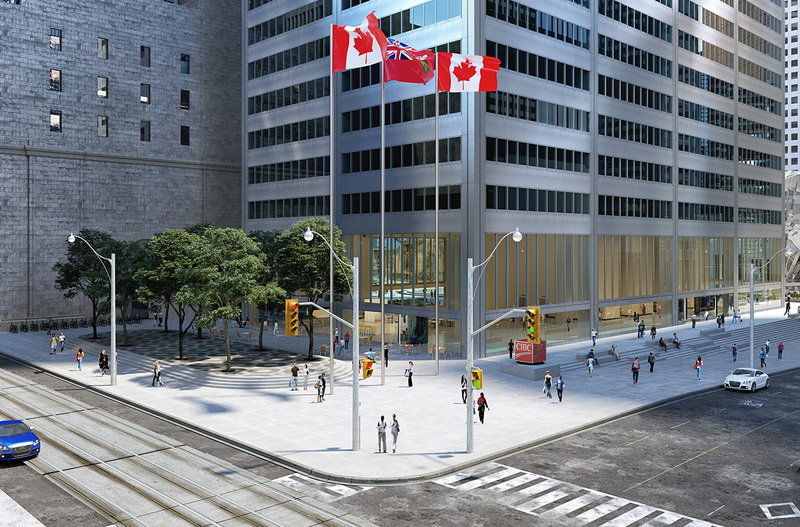 An infill opportunity to establish frontage for Commerce Court on Yonge Street to the east will secure an address on all of the four major streets flanking the Commerce Court superblock, marking the next iteration in the evolution of this renowned office complex.